More on the Oklahoma Sound Smart Cart Lectern (Oak) SCL-OK below. 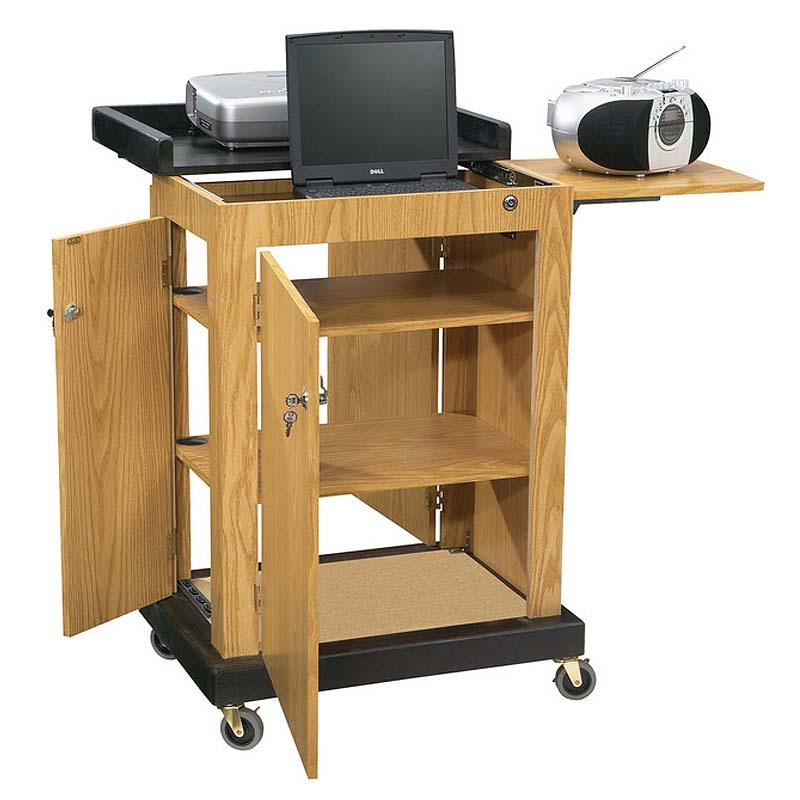 Computer-friendly, multi-purpose audio-visual cart and lectern for public speaking. 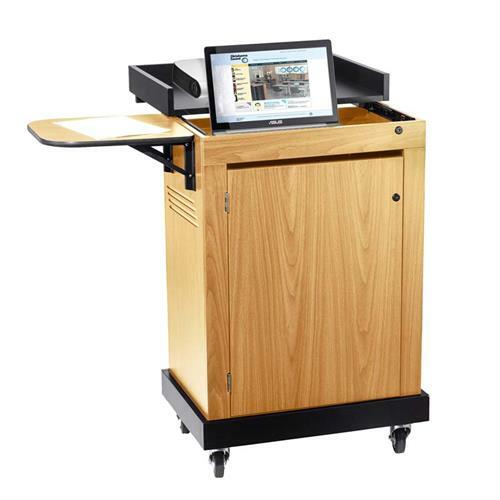 Features a recessed 2 deep surface shelf for placement of a laptop which can be stored beneath in a securely locking slide-out storage shelf. 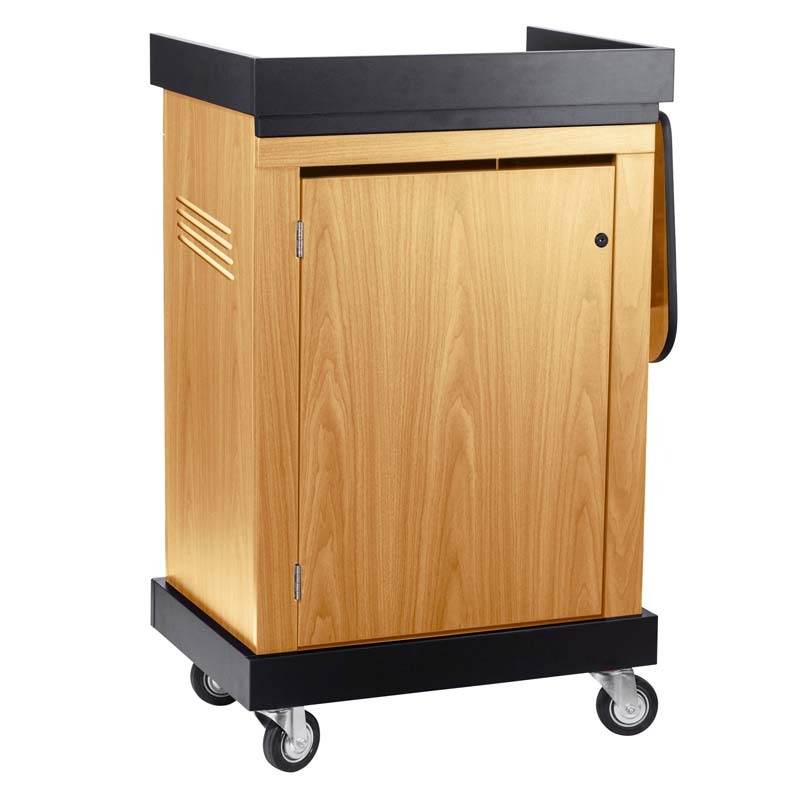 Constructed from melamine thermofused multi-density fiberboard (MDF) with a stained pine wood finish base. 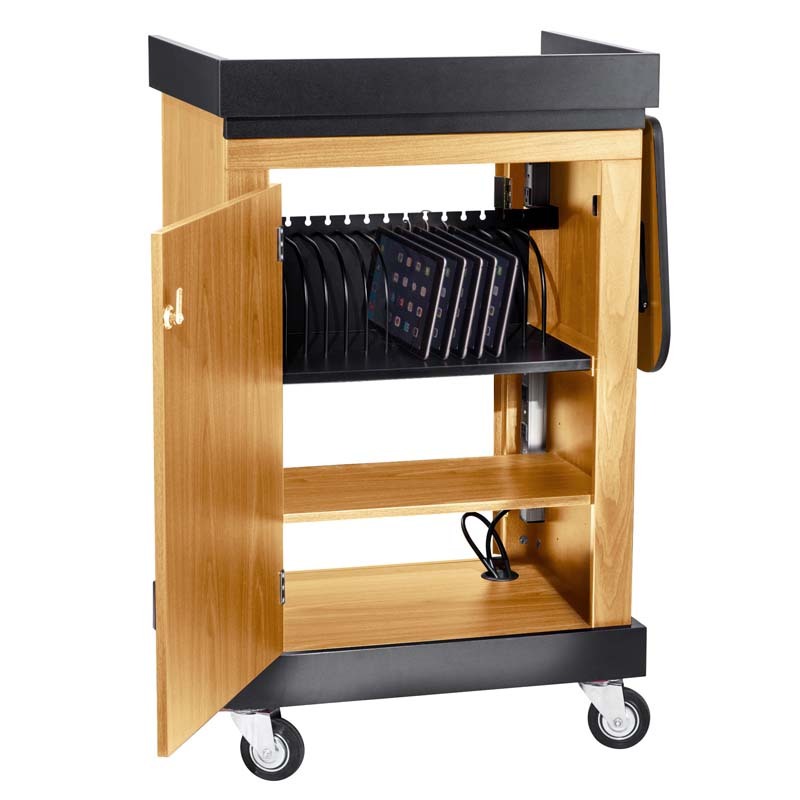 Ample storage space with three locking doors protecting three inner shelves ideal for safely storing multimedia equipment, supplies, documents, etc. 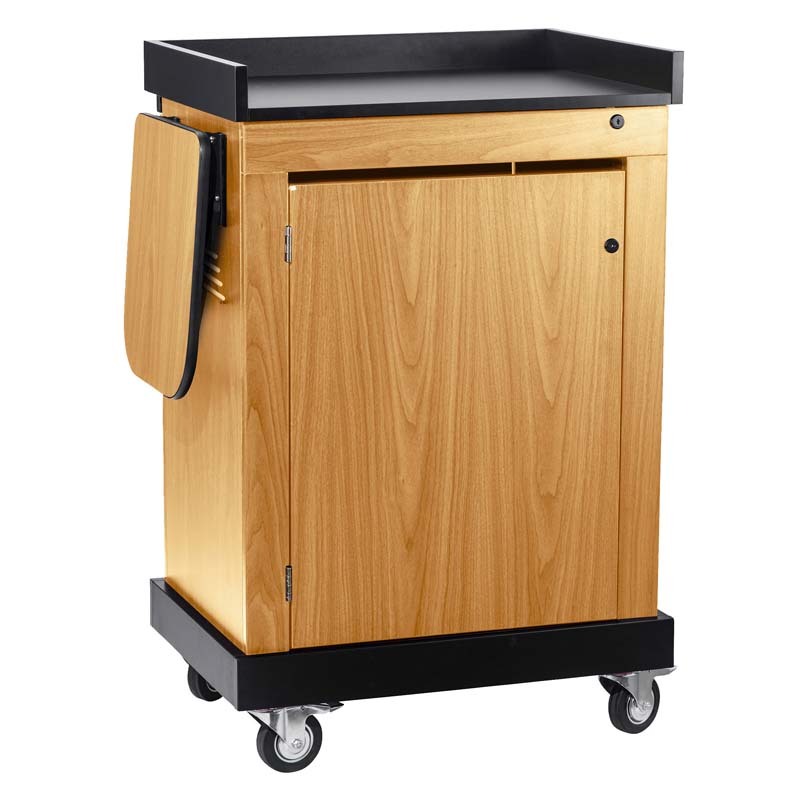 Four easy-roll 4" casters (two locking) for smooth mobility.